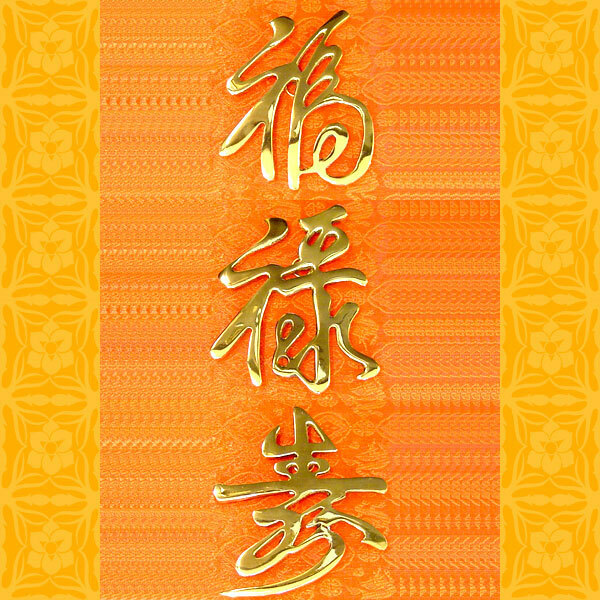 The Chinese characters Fuk, Luk and Sau means happiness, prosperity and long life respectively. 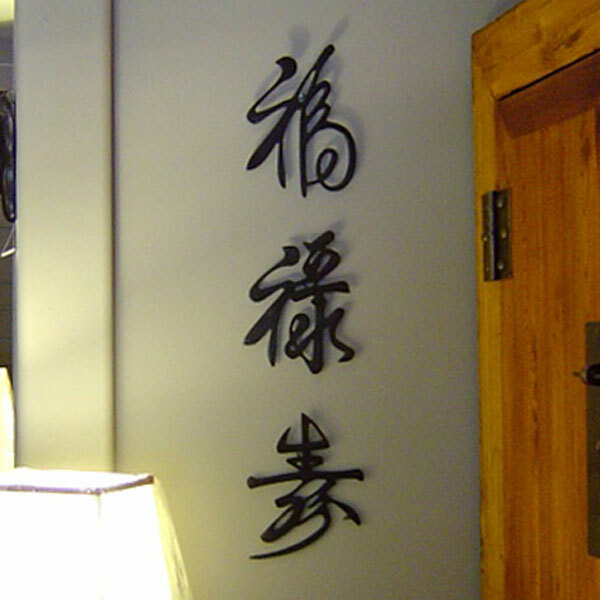 Available in 3 colours, these are meant to be hung on the wall. 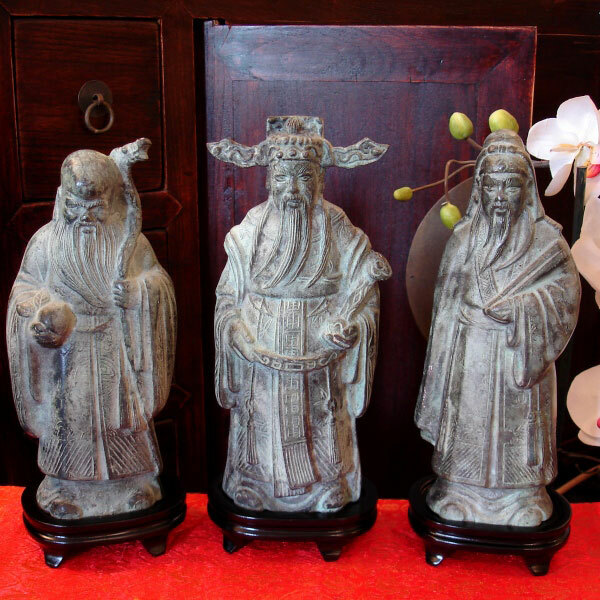 These characters are also the names of the Three Immortals in Chinese mythology. 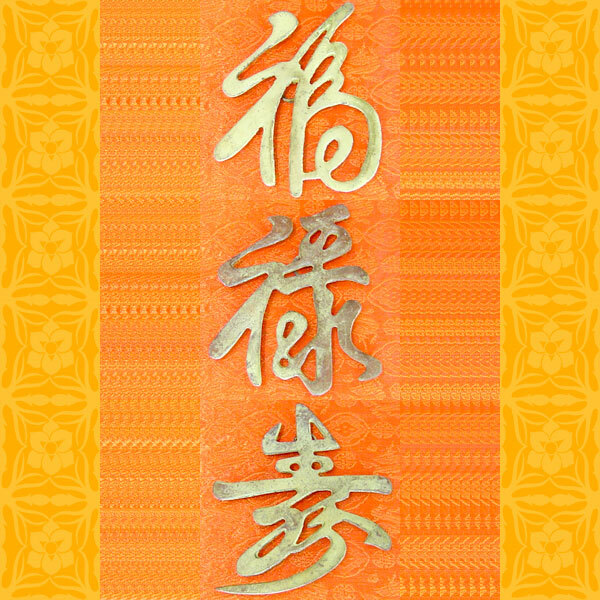 Oracle Bone inscription was one of the earliest Chinese Characters, Tsung Jie invented Chinese characters around 4000 year ago. 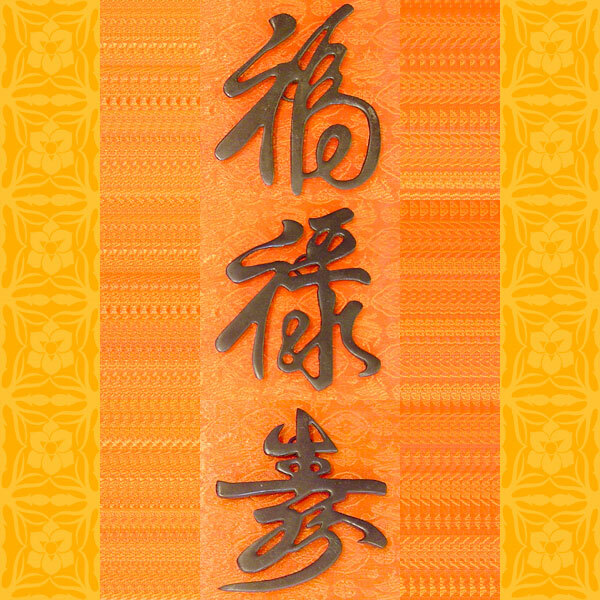 The art of writing Chinese characters is an expression of one's poetic nature, as well as a test of ones dexterity in the hand, wrist and fingers.